Classic 'SNL' photos of your favorite cast members behind the scenes - trendistic.com: ever tried. ever failed. no matter. try again. fail again. fail better. Longtime Saturday Night Live producer Mike Shoemaker spent Friday morning tweeting vintage images from his days on the show. 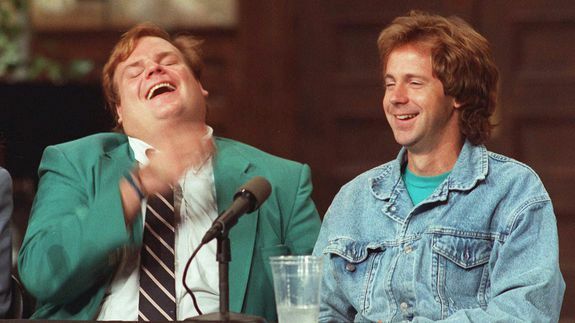 Shoemaker was involved with SNL — which celebrates its 40th anniversary on Sunday, Feb. 15 — from 1986 until leaving for Late Night with Jimmy Fallon in 2008. The photos, which Shoemaker has been posting with the hashtag #mySNLdays feature many familiar faces from the cast, along with several writers and producers throughout the years.